Energy efficiency beyond legislative requirements. Energy efficiency is a hot topic in the process industry, and many authorities worldwide are preparing related regulations. First, the European Union (EU) created the Energy Related Products Regulations. Now, the U.S. Department of Energy (DOE) has introduced a regulation that specifies the Pump Energy Index (PEI) for clean water pumps, with the target of reducing energy consumption. After 2020, only pumps in the range of 1 to 200 horsepower (hp) that satisfy the PEI requirements are allowed on the market. In many industrial processes, pumping systems are responsible for 25 to 90 percent of energy usage. The energy consumption depends on the design of the pump and the installation, the specific application and the conditions and operation of the system. These components and factors must match in order to achieve the lowest possible energy and maintenance costs. Energy is often wasted because of inefficient or oversized equipment. To optimize the pumping system, users need to know the areas of energy intensity and how to boost the efficiency of the installed equipment. This optimization also helps cut down the carbon dioxide footprint. 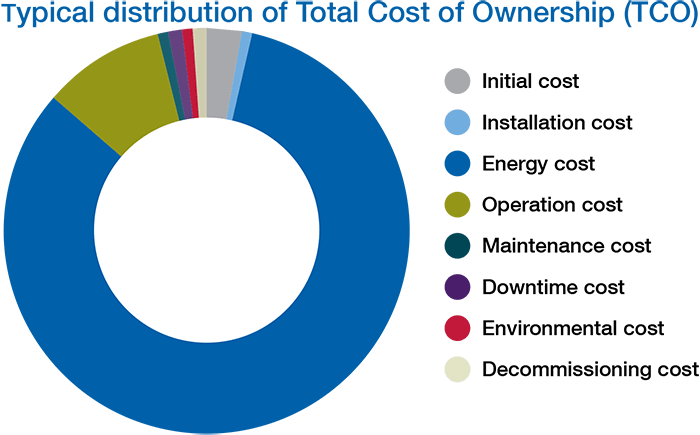 Image 1 demonstrates the role that energy consumption plays in the long-term costs of pumping systems. The right pump technology, properly sized for a specific application, can reduce energy consumption and the overall lifetime cost of the pump. To select the most efficient pump technology for an application, stakeholders need to thoroughly understand the application, fluid characteristics and flow demands. The best way to get this information is a close dialogue between the user and the pump supplier to ensure that the current application requirements and possible changes in future demands are known from the beginning. Combined with a comprehensive knowledge of pumping technologies, this information helps to define the most appropriate pumps for minimizing total cost of ownership (TCO) and enabling maximum performance and reliability. Critical aspects to consider for optimal gains include hydraulic design, pump size and running speed. The right combination of various factors ensures the best possible outcome. Pump duties are often overestimated and safety factors are added to the required head and flow of the pumps. This results in the selection of an oversized pump, which do not run at the best efficiency point (BEP) and wastes energy. Replacing a pump with a high-efficiency design normally reduces the energy consumption between 3 and 20 percent. In some cases, the reduction can be as much as 50 percent. Correct pump selection will accumulate large savings in energy and investment costs and is also a key factor for successful process runnability. The best efficiency and further energy savings can be achieved by driving the pump with a variable speed drive (VSD) and a maximum diameter impeller. This allows the rotational speed of the pump to be adjusted to achieve the desired head and flow for the process application. The efficiency improvement compared to a constant speed driven pump can be up to 10 percent. One pump range is designed to exceed the strictest energy regulations for all industries as well as the requirements of the American Society of Mechanical Engineers (ASME) B73.1 standard. The pump also complies with the PEI that will come into force in 2020. The new pump range meets the process requirements in a variety of industrial applications. It is suitable for use with clean or slightly contaminated liquids, viscous liquids and fibrous slurries. Today, the process industry is asking for increasingly efficient solutions, especially when it comes to energy consumption. New pump design and hydraulics contribute to high efficiency, translating into lower energy consumption. The closed impeller is optimized for low flow applications, so no special impeller is needed. The pumps feature a new impeller designed in tandem with the volute case and sealing chamber. The result is efficient hydraulics with shaft sealing conditions with higher reliability. Heavy-duty rigid bearing units ensure a long bearing life and reduce maintenance costs. Semi-open and closed impellers offer versatility for a variety of liquids, maximizing standardization to minimize the need for spare parts. These pumps are used in a wide range of chemical process applications as well as in general industry including clean water. Selecting the best material according to specific process requirements is important for maximizing pump life, especially for aggressive processes where resistance to corrosion and abrasion is vital. The pumps can also be used in applications where liquid must be pumped from below floor level. Saku Vanhala is the product portfolio manager, Pumps and Agitators, at Sulzer. He may be reached at saku.vanhala@sulzer.com. For more information, visit www.sulzer.com.